Old silverware pieces make great garden markers or garden art for indoor plants. 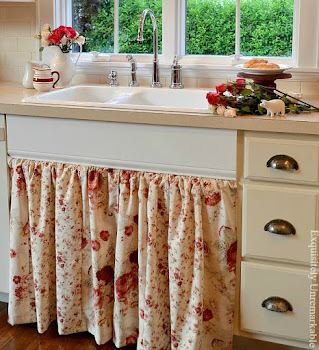 Here's an easy DIY for your own thrift store finds. Last summer, I found these pretties at the thrift store. 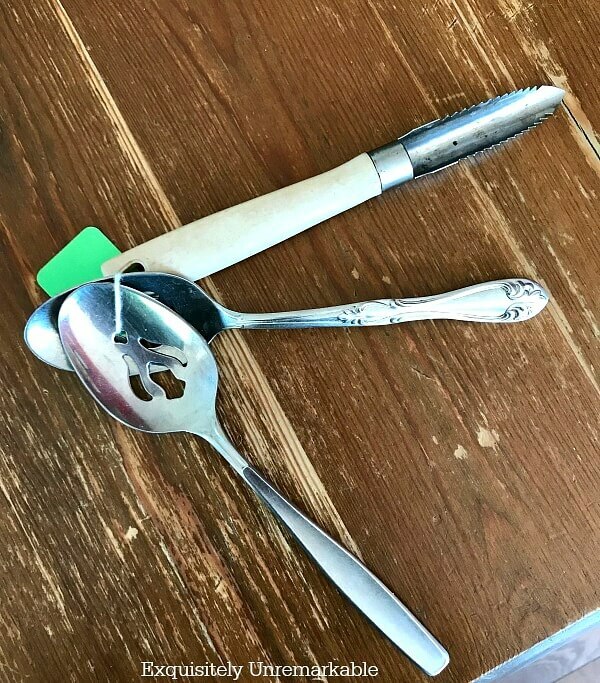 I think they charged me $1.00 for a the trio, two spoons and corer of some sort. I didn't really know specifically what I was going to do with them, but I knew that I wanted to use them in the garden. However, when I got them home, I tucked them into my craft closet and that was the end of that. Then when March roared in with her cold and blustery winds and I focused on indoor plants to get my spring fix, I remembered my utensils and dug them out. At first, I was going to buy a lettering kit, flatten the spoons out and stamp words like "chives" or "cilantro" on them. Of course, I don't have and herb garden, so putting them into the ground next to the hostas would be lie. And then there was the price of those stamping kits. Yikes. No thanks. 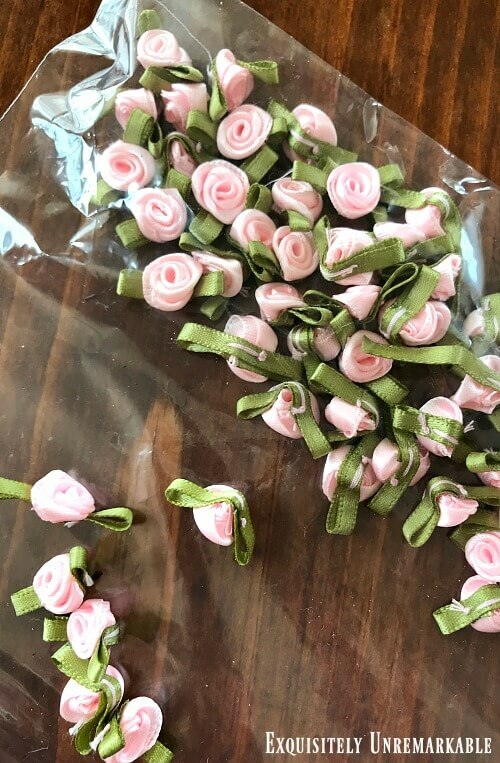 I was honestly just about the give up when literally tripped over a few boxes of scrapbooking supplies my sister had dropped off and a bag of these tiny satin roses fell out onto the floor. And the wheels started turning. 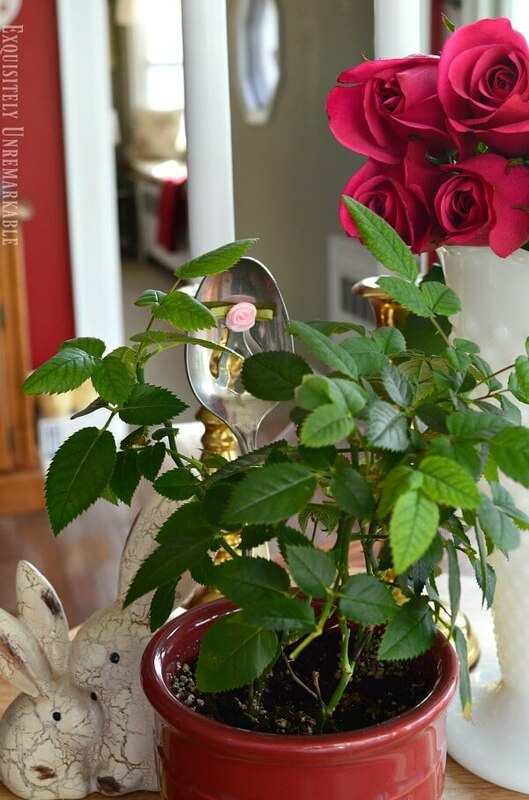 I had just transplanted my mini rose bushes into pots so they could stretch their legs a little bit while they were waiting for the warm weather to arrive and move into the garden. The didn't have any flowers left and looked kind of boring. Immediately, I thought, how cute would these old spoons look with a little rose embellishment to decorate their pots? So I grabbed my hot glue gun and added a tiny pink rose to each spoon. 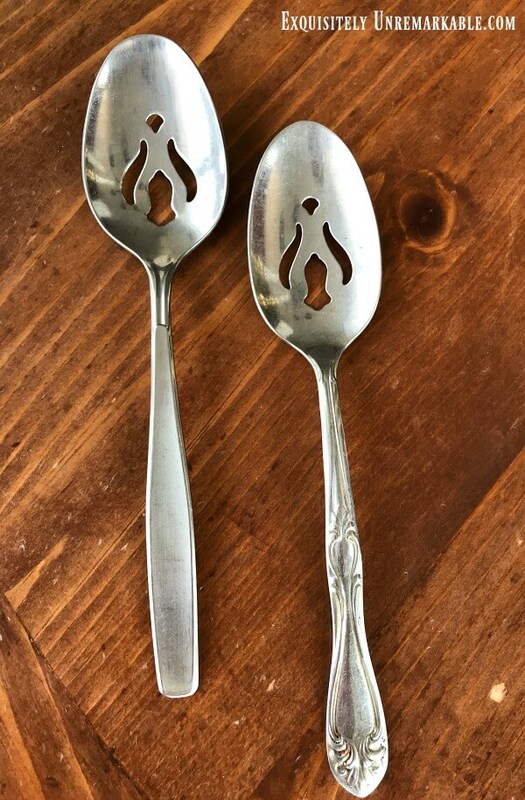 Mine tucked right into the top cut out, but it would work the same on a solid spoon. They really looked very sweet and since I was using them on indoor plants, I didn't have to worry about them getting wet or deteriorating in the garden outside. 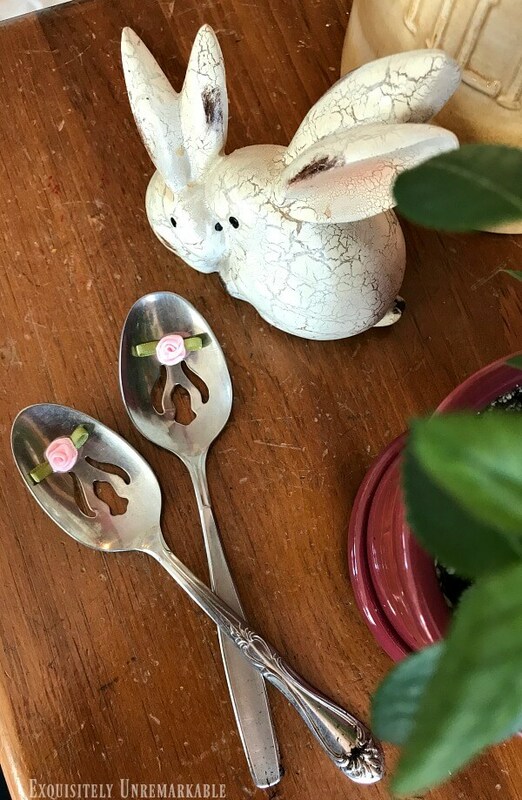 Now, I just happened to be decorating rose bush planters with my upcycled, rose adorned, garden art pieces, so in a sense, my spoons are in fact garden markers, as well. I love when things work out that way. If you like that idea, you can purchase these satin flowers in an array of colors and styles to mark your own indoor planters. Or you can simply use them as a charming, colorful cottage style accessory to dress up your flowering or flowerless houseplants. 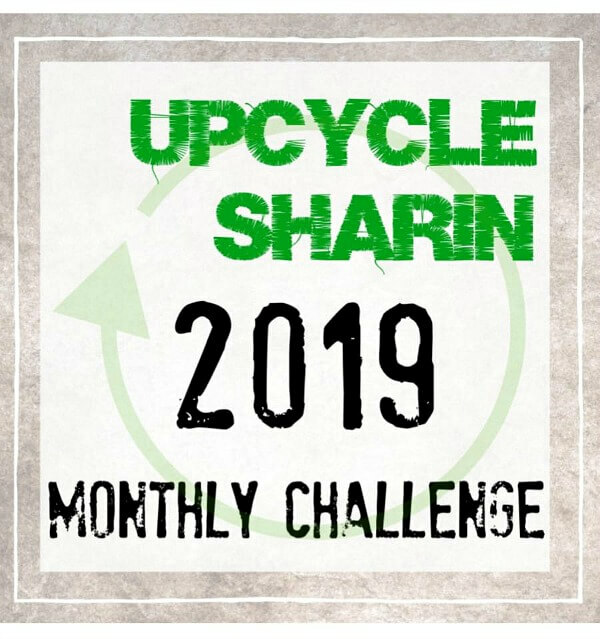 Today, I'm joining my creative partners from our Upcycle Sharin' Facebook group for another monthly challenge. 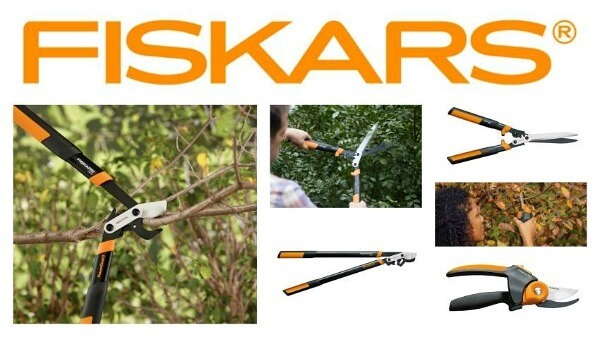 So who wants to share their gardening upcycles with us for a chance to win a prize from this month's sponsor, Fiskars? Each with the patented gear technology that multiplies leverage to give you up to 3X more power on every cut. 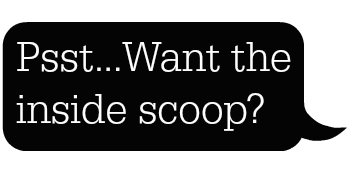 Just add a photo or link to your own project below by April 15th. Come back and vote for your favorite garden upcycle beginning on the 16th and if you receive the most votes at the end of the month, you win the prize. Simple. So join in now and post your GARDENING UPCYCLES for us to see. And now the fine print: Challenge open to US and Canadian residents only. You must be over 18 to participate. This challenge is in no way associated with Facebook. By submitting your photo, you are agreeing it is your image, and you are the creator of the project. You may NOT submit anyone’s project for them or an image you do not own. If you are found using images that are not yours, you will be disqualified, link/image will be removed, you will be removed from the group, and you will be responsible for any legal copyright issues/fees if they arise. Each corporate sponsor will be responsible for shipping the prize, and not an individual blogger. Bloggers will not be held liable for packages not received. Thank you, Penny! I'm enjoying the pop of color. How easy and super cute. Happy New Week. Only you could buy old spoons and see garden markers in them, my creative genius friend!! Looks very cute that way! Very feminine touch! Thank you, Angela! I really do like the way it looks. That is such a cute idea! I've got some old pieces that I could use for something similar...would they look cute sitting in dirt??! Cuz you know I kill everything I touch! ;-) Love and hugs! Right there with you, Benita. I’ve been holding my breath every day with those silly rose bushes. So far, so good! Thanks Brenda!! It certainly dresses up those flowerless plants. So cute! I love the look of the old silverware in the planter! Thanks Susan! I really like this one. That is such a cute idea and the spoons look great in the planters. I will have to remember this idea as I have so many extra spoons and forks! Thanks Julie! And it was super simple! I love this idea. I am going to look for old silverware now too. :-) Inspiration you are!! Yours would look even better tucked into pots, Carla, since your flowers are truly amazing!! So cute! I love this idea. I just wish I had an upcycle of my own. This one was so easy, Mari. Your granddaughters could master it easily! Cute, cute, cute, Kim. I always see silverware in the thrift stores and can never thin of what y to do with it! Great idea! Thanks Judy! Less than 5 minutes from start to finish. I love that! What a fun idea! Simple and super cute!